Lyon was founded at the top of Fourvière Hill as a Roman colony in - 43 BC by Munatius Plancus, a lieutenant of Caesar. 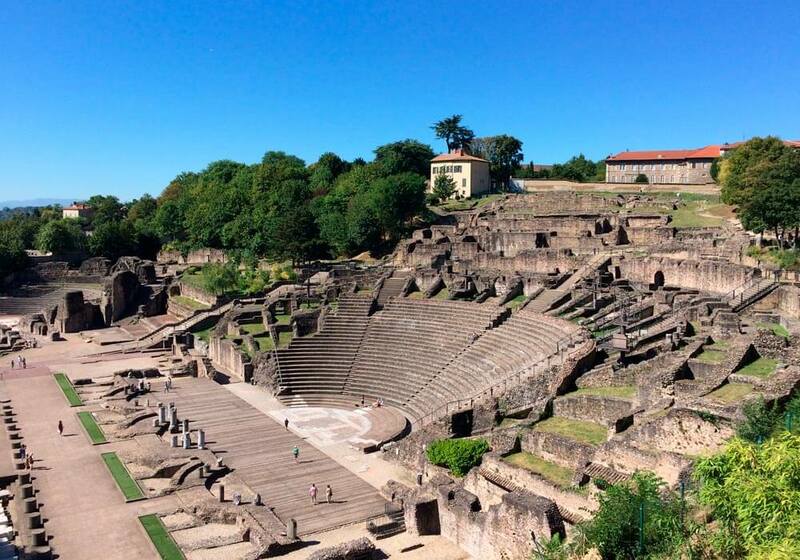 Quickly, Lyon named at its origins Lugdunum became the capital of the Three Gauls and a forum, a theater, etc. were built. At the end of the Roman Empire, Lugudnum entered a dark period and it was not until the 11th century that Lyon bloomed again becoming the seat of the Primates of Gaul under th reign of Pope Gregory VII. In the 15th century, Lyon became a major trading center with several annual fairs and the development of large banking house. At the beginning of the 16th century, the silk industry introduced by François 1st took off many artists, intellectuals and elites from all Europe came to settle in Lyon. The 16th century gave the city the most beautiful ensemble of Renaissance buildings in France with Vieux-Lyon area, its architectural treasures and unusual covered passageways called "traboules" today classified as a UNESCO World Heritage site. The French Revolution put an end to this quiet and prosperous period. At the beginning of the 19th century, Napoleon himself ordered the reconstruction of all the buildings demolished during the French Revolution. From 1870, the silk industry slowly began to decline due to foreign competition, industrialization and the invention of synthetic fibers. In the 20th century, Lyon continued its development under the impetus of its emblematic mayor, Edouard Herriot. During the Second World War, Lyon became the capital of the French resistance led by Jean Moulin. The post-war era was marked by modernity and several major urban achievements. Today, Lyon is internationally known and praised for its gastronomy, arts & crafts, culture but above all its quality of life. Climb up to Fourvière hill summit via its funicular railway called "Ficelle" located in the Vieux Lyon, near St Jean Metro Station. Enjoy a spectacular panoramic view of the city from the Esplanade. Then, visit the Fourvière Basilica dating from 1872 and then walk down the hill and discover the the Gallo-Roman theater and Odeon. 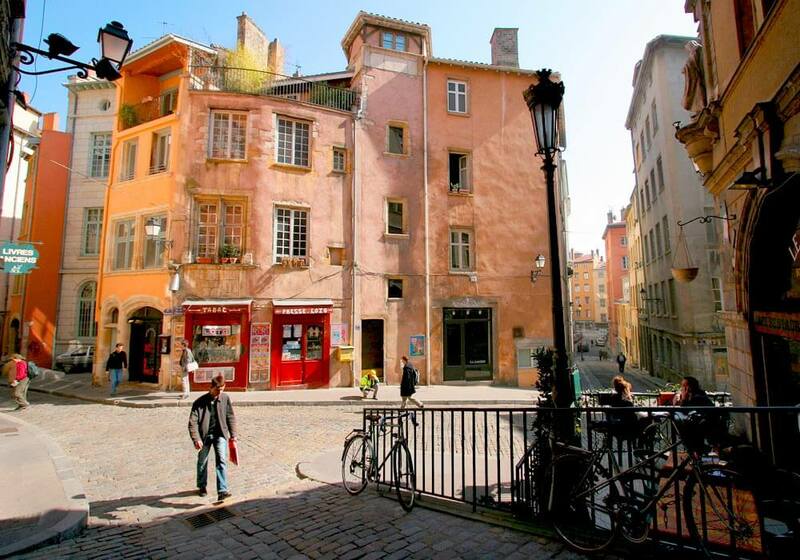 Then stroll through Lyon Old Town, historic district classified World Heritage by Unesco. Take the fascinating covered passageways called “traboules” which link private courtyards to neighboring streets. Visit St Jean Cathedral church dating from the 12th century and admire its harmonious Gothic façade. Cross the Saone river, and explore the Peninsula district called Presqu'île. Walk on the impressive Place Bellecour where the Statue of Louis XIV with his horse sit, then take Republique Pedestrian Street and do some shopping in the many shops and boutiques. Keep going till you reach the Lyon Opera House restored by Jean Nouvel architect. Then, go to Terreaux Square, discover the Hotel De Ville Building (City Hall) built in the year 1646 and have a drink on a nice terrace Café nearby to the Bartholdi Fountain. Go direction of St Vincent pier and on the way, admire the Painted Wall called Les Lyonnais with of the famous characters who made Lyon history. The next day, discover Croix Rousse hill, the silk workers district called Canuts. Discover a village inside the City with narrow streets, buildings with a beautiful architecture and an amazing morning food market on the main Boulevard. Visit the “Maison des Canuts” museum and learn about the silk-workers’ life and their many 19th century revolts and the famous “Jacquard” silk weaving technique. Follow the day with Parc de la Tête d’Or, the best place for a romantic walk or for a family to escape the city! Tete d’Or Park is one of France's largest and finest urban parks (105 hectares) with 7 entrances gates and a beautiful lake in its center. It also hosts a splendid botanical garden and a beautiful Zoo which is free. 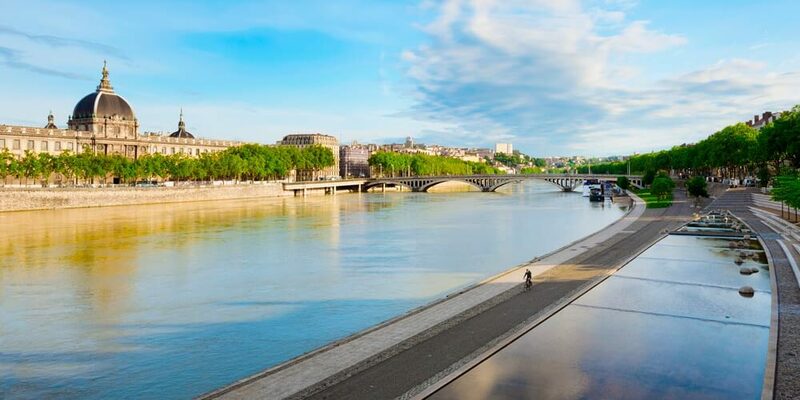 In the evening, enjoy a delicious dinner at a “Bouchon” Lyonnais restaurant and come back to your hotel by foot, walking on the edge of the Rhone or the Saone River to admire the magical effect of the illuminations on bridges, banks and facades. Kanpai Team wishes you a nice visit of Lyon!